SARAH QUILLEN is a Colorado native. She received her ballet training at Ballet Nouveau Colorado. 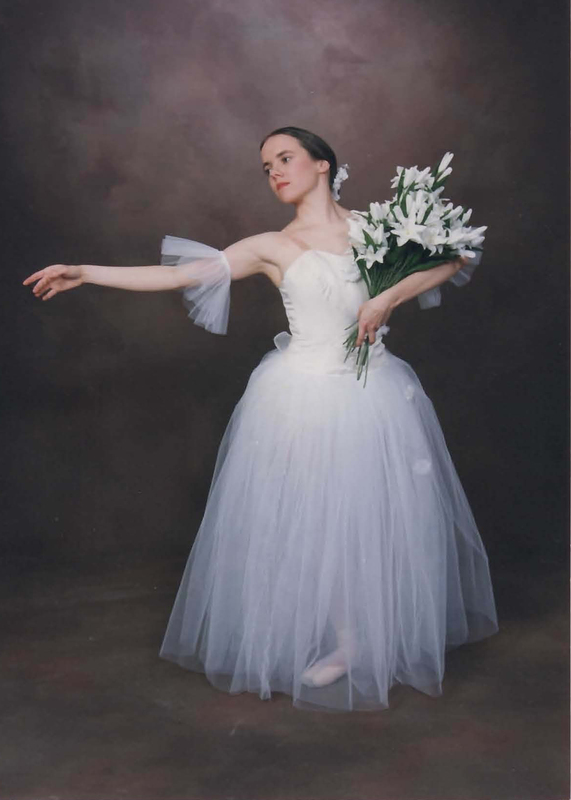 After a short time in Kansas at Friends University’s ballet department, she returned to Colorado to be an original member of Ballet Nouveau Colorado’s professional company. There she danced principal roles in The Nutcracker (Snow Queen), Giselle (title role), Paquita (title role), Swan Lake, Les Sylphides, Firebird (Princess), Our Town, and other original works. Sarah also received a BA in Theatre from Colorado Christian University. Her musical theatre work ranging from cast member to choreographer to director includes Godspell, The Music Man, Joseph and the Amazing Technicolor Dreamcoat, You’re a Good Man, Charlie Brown, Camelot, and Oklahoma! Sarah has been teaching ballet for 20 years in the Front Range area. She loves teaching at LDTA and being part of their mission encourage all the dancers that come in the door to be the healthiest, well trained and well-balanced dancers they can be. She also enjoys being Mom to two great kids.